Don’t forget that Tech Corner’s OMI Savings will end soon. 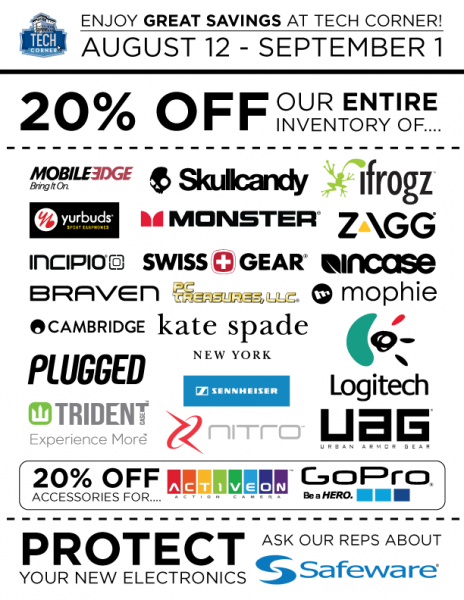 Students, faculty, and staff looking to stock up at the beginning of the semester can stop by and receive up to 20% off their favorite brands such as Kate Space, Braven, Logitech, UAG, and Mobile Edge. View the full list of vendors below.